Australia’s competition watchdog has given final approval to Qantas’s partnership with American Airlines on trans-Pacific routes. The green light from the Australian Competition and Consumer Commission (ACCC) leaves the two oneworld alliance members waiting for the US Department of Transportation (DOT) to hand down its decision on the tie-up. The ACCC said in a statement on Thursday it had approved the American-Qantas partnership for five years, allowing the carriers to coordinate marketing, sales, freight, pricing, scheduling, distribution strategies including agency arrangements, yield and inventory management, frequent flyer programs, lounges, joint procurement, product and service standards with immunity from prosecution. ACCC commissioner Roger Featherston said the alliance was likely to result in public benefits for passengers. “The alliance is also likely to promote competition between other airlines that provide services on trans-Pacific routes,” Featherston said in a statement. The ACCC issued a draft decision granting authorisation in November 2015. 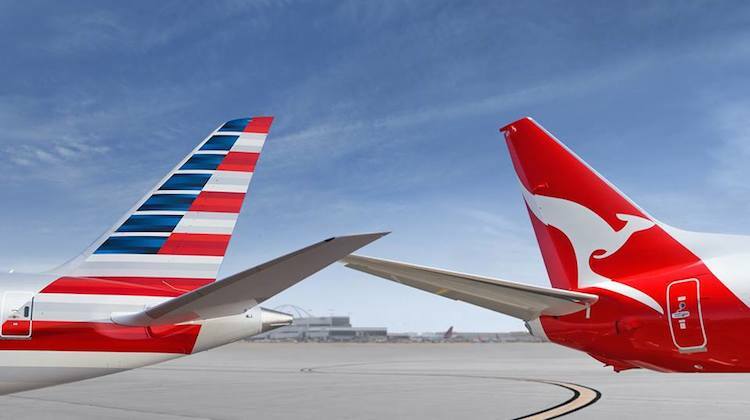 American began flights between Sydney and Los Angeles in December 2015 with Boeing 777-300ERs, while Qantas returned to San Francisco for the first time in five years in the same month. Also, the US flag carrier is scheduled to fly to Auckland from June with Boeing 787 Dreamliners. The New Zealand government approved the partnership in November 2015, while the US DOT said in February it had completed its investigation and was nearing a decision. Qantas said it welcomed the ACCC decision, adding that the alliance gave passengers more choice for travel between Australia, New Zealand and the US. “We’ve had a great response to Qantas’ new Sydney-San Francisco service and American’s new Sydney-Los Angeles service, and we’re looking forward to the launch of American’s LA- Auckland flights later this year,” a Qantas spokesman said in an emailed statement. Qantas said it was “hopeful that the DOT will move quickly in approving our application”.